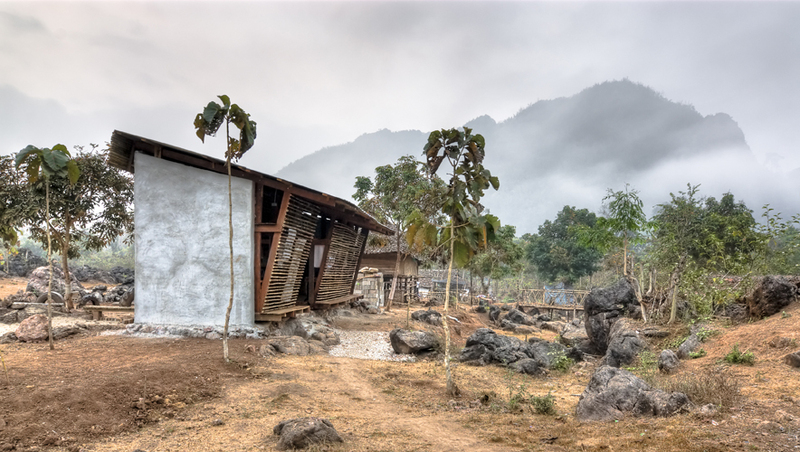 The most pressing needs at the orphanage was a new sanitary building and a library. 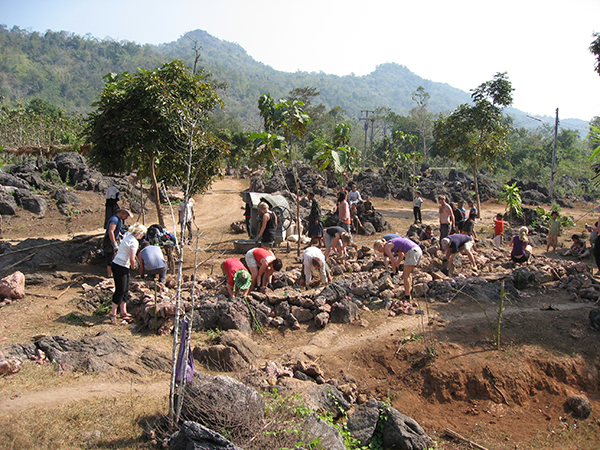 TYIN worked on the sanitary building, together with the Karen workers from Noh Bo. While the workshop participants focused their efforts on the library. With the assistance of TYIN and NTNU professors the Safe Haven Library was completed in only two weeks. 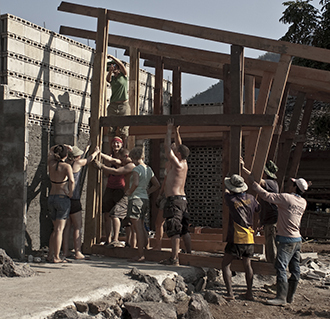 The library was built using local materials and labour. All the money spent on the project was used in the nearby markets. The concrete base of the library is casted on a bed of large rocks gathered on-site. 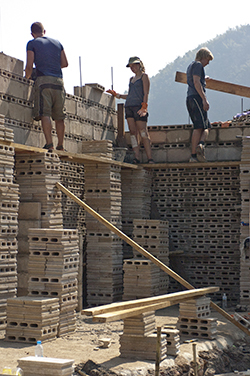 The walls consist of plastered concrete blocks and cool the building during the day. The simple construction of the open bamboo facades provided ample natural ventilation through out the whole structure. Iron wood make up the solid frame construction and serves as a comfortable floor for the children to play on. The bookshelves are a floor to ceiling height structure that runs the full length of the concrete wall and the floor remains unfurnished to give room different activities. The entrance creates a comfortable buffer zone between a small computer area on one side and a larger library room on the other. The most important thing to the Tasanee is that her children have food and an education. The library enables the children of the Safe Haven Orphanage to have a space to do homework, use a computer with internet and read books. The new building has also attained the important role of a gathering space and is frequently used for making crafts and playing games.